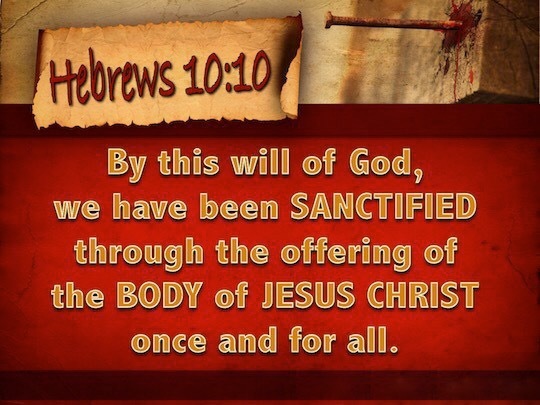 Sanctification is what God did to separate us unto Him. Our spirit man within was sanctified (separated) from sin because we were given a new spirit. The old sinful spirit is gone. Consecration is our response to sanctification. Because of God’s work of sanctification we now consecrate ourselves, separating ourselves unto God to have fellowship with Him in the beauty of holiness. Without consecration you cannot have intimate fellowship with God. God loves everyone the same, but He does not fellowship with everyone the same. As 1 Peter 1:15-16 tells us, because God who called us is holy we to should be holy in all our conduct. If we do not consecrate ourselves from sin we will harden our heart toward God. God is a Spirit and He bears witness with our spirit. If we don’t consecrate ourselves from sin we sear our conscience (the voice of our spirit man) and that will hinder our ability to hear from God. So live a consecrated life in gratitude of the sanctified work of Christ and you can develop an intimate walk with God. It is through our reliance on Jesus that we have the strength for all things because we are self-sufficient in Christ’s sufficiency. Don’t try to be strong, rely on His strength. When we are weak, then we are strong. We are weak when we are not trying to be strong in ourselves but draw upon His strength within us. Believers often say they are trying to be strong but the Bible does not teach us to find strength in ourselves. All who trust in the Lord shall renew their strength and they shall mount up with wings like eagles; they shall run and not grow weary, they shall walk and shall not faint. When we choose to put our full trust in God, He becomes our strength. We are no longer relying on us but on Him. Be strong in the Lord not in yourself. Put your trust in God. Take Him at His Word acting upon what He has said. Refuse to worry about anything. 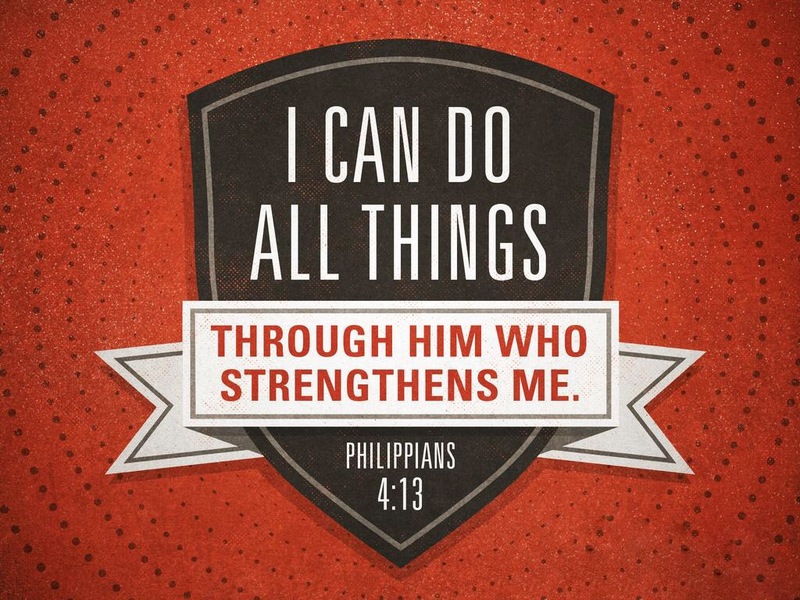 Believe the Word of God and His strength will put you over. 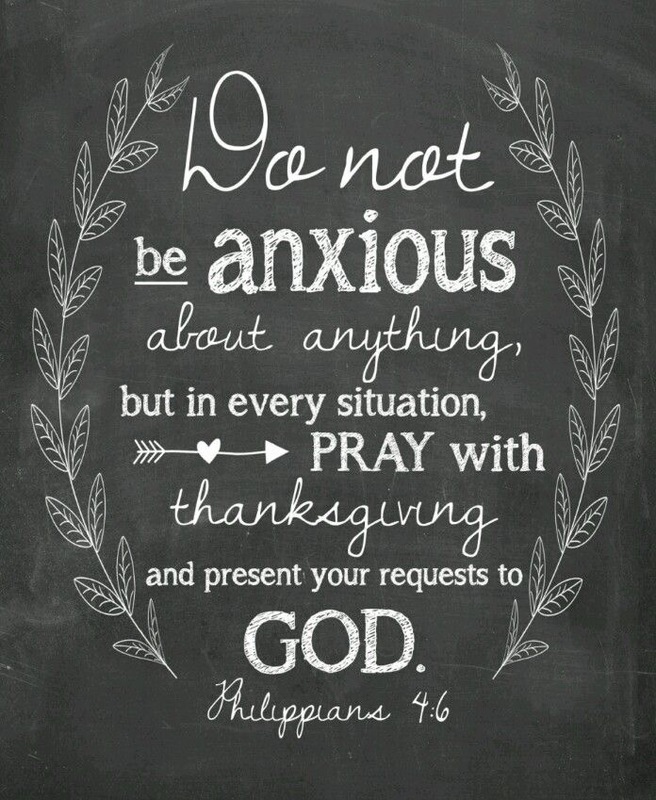 We are not to be anxious (worry) about anything yet many Christians do. Worrying robs your faith. You cannot be in faith and worry at the same time. So how can we live a care free life? We take every care that would try to take hold of us and we cast that care over onto God because He cares for you. You do this in prayer until you have released it to God. Then keep your focus on what God has said in His Word. Continue to confess the Word over your circumstances. When the temptation comes to take that care back, resist that temptation by giving God thanks for what He has promised in the Word of God. Maintain a confession of thanksgiving instead of talking about and magnifying the problem. In maintaining a confession of thanks to God for His promises, the peace of God will guard you heart and mind from worry. This will keep you in faith and your faith will lead you to the victory in Christ Jesus. 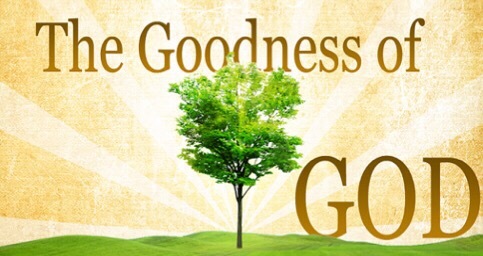 Our heavenly Father demonstrated His goodness toward us through what Christ has done for us. This is grace revealed for Jesus is that grace. How good is our God? So good that He has given us what we did not deserve. This influence of grace on the heart of man is what leads him away from ungodliness and to our God. Grace is heavens help that we receive, undeserved, and not earned. Grace is what empowers us to live free from sin. It empowers us to be partakers of all we have in Christ Jesus. Scripture teaches us that there is more grace to be received from God once we are born again, which means more of heavens help. James tells us God resists the proud but gives grace to the humble. The very next verse tells us how to walk in humility. Submit to God, resist the devil, and he will flee from you. Simply put, do what God says in His Word and you are submitting to Him. When you do you are resisting the devil. As you submit to God His grace empowers you to overcome anything the devil throws at you. So don’t live in pride choosing your own way, submit to God and receive even more grace and experience the goodness of your God. 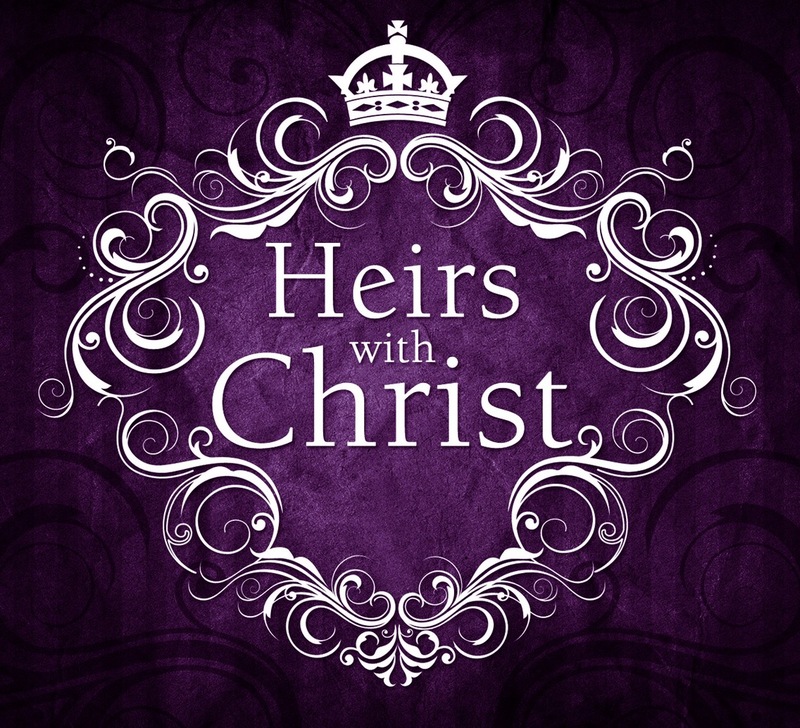 We are heir’s of God (one who receives his allotted possession by right of sonship), through our wonderful Savior Jesus Christ. As sons and daughters of God our inheritance is based on what Christ has done for us, not what we have done, and we receive that inheritance by faith. One who is a part of a family and given an inheritance is written in the will of that family member. That inheritance is theirs by birthright. God has written us in His will, the will and testament of the New Covenant. We are written in His will because once born again we are part of His family. So every promise He has given to the children of God is a part of our inheritance just waiting for us to claim it. So go to God’s Word and find out what belongs to you in Christ. Then lay claim to it by faith in what Jesus has done for you, not what you have done. It is yours by birthright. 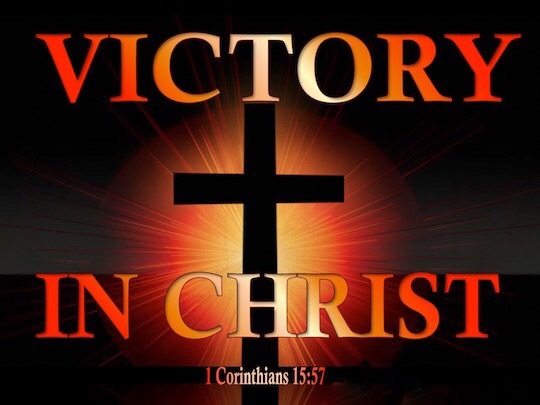 It is God who has given us the victory through what Jesus has done for us. When we fight the good fight of faith, we are enforcing that victory in our lives. This fight does not mean we fight the devil for Jesus has already defeated him for us. The fight of faith is maintaining our belief, confession, and action in line with God’s Word. Circumstances will try to get you to doubt and to magnify what you see in the natural. To stay in faith you must refuse to be moved by what you see, but instead maintain a faith filled confession of the Word of God. Scripture tells us having done all to stand, stand therefore. You must not allow what you see or feel to discourage you. The Word of God tells us that God has provided for us all things that pertain to life and godliness. So act like the Word is true because it is. Hold fast to your confession of faith declaring what God’s Word says right in the face of any challenges in the natural for the victory is yours! 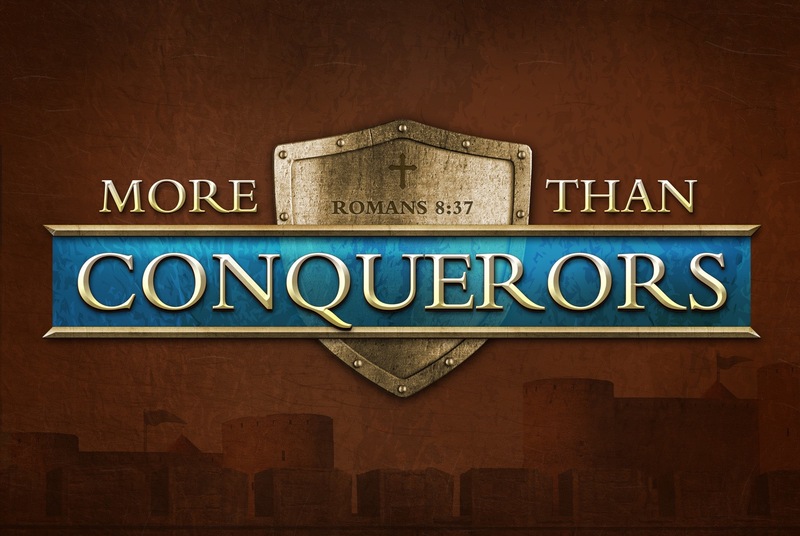 Through our relationship in Christ Jesus and what He has done for us we are more than conquerors through His shed blood. How do we walk in this victorious life Christ has provided for us? We overcome by the blood of the Lamb, the Word of our testimony, and we love not our own lives. The first thing we must understand is to walk in the revelation of what the blood of Jesus has done for us. We have to believe in our hearts that when Jesus shed His blood for us that shed blood provided a new covenant we are to walk in. You must know what your new covenant rights are according to the Word of God. When you know what your rights are you must declare it so with your own words to take possession of what is now yours. Like the children of Israel, theses promises have already been given to us, but we must take possession of what Christ has provided through a faith filled confession. Also we must chose to walk in God’s will for our life as shown to us through His Word. For example, faith works through love. If we know what belongs to us, have a faith filled confession but choose to not walk in love, our faith will not work. The payment has been made and the new covenant promises await. Now take possession of what is yours for you are more than a conqueror!